Nogata Hope now has seven shops opened around Tokyo but the one in Nogata is where it was all started. 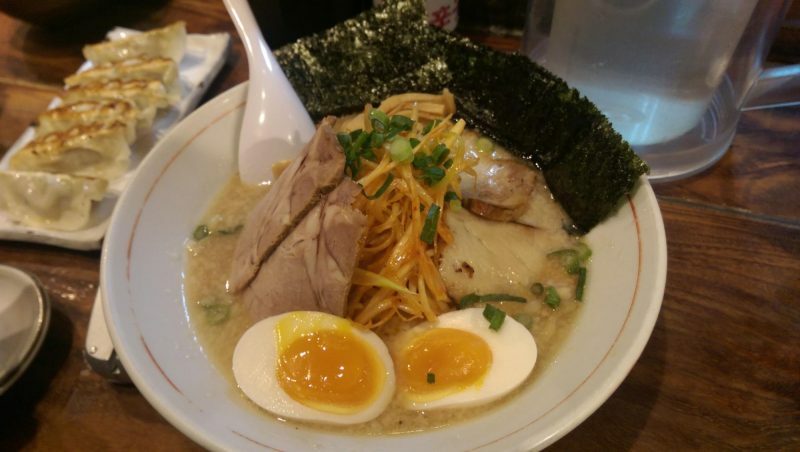 Their signature bowl has a triple soup, which is made from a chicken stock, a vegetable stock and a pork stock, resulting in an intensely flavorful tonkotsu broth. It’s reasonably priced and will satisfy anyone’s craving to slurp up a tasty bowl.